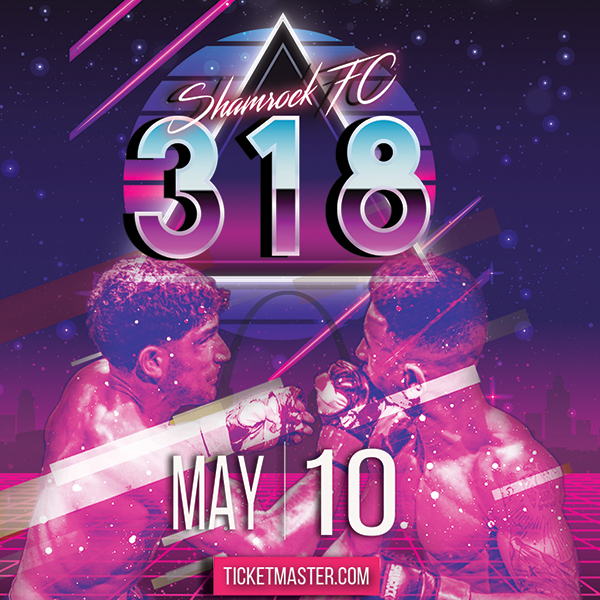 Much has been said about the stacked main card of Friday's Shamrock FC 286 at the River City Casino. Despite losing one-half of the main event, and a high profile match-up that featured Ryan Shamrock, matchmaker Rob Donaker retooled and found more than suitable replacements. Rather than recap the previous preview of this event, we decided to drill down to the three amateur title bouts, each of which has the potential to steal the show. To help, we've enlisted the voice of Shamrock FC, Jeremy Johnson to add some insight to these intriguing match-ups. Although it wasn't nominated for ammy fight of the year, the first match-up between Isaac Purnell and Derik Scott could have been added to the list. The fight was a battle of attrition from the minute the bell rang. Scott pushed the pace looking for the takedown early, while Purnell circled, sprawled, and tried to stay outside so to land his impressive kicks. Purnell showed impressive strength and out-muscled Scott early when the two were clenched, throwing Scott off him and allowing him to land punches. While Purnell defeated Scott via split-decision, in my opinion, the decision could easily have gone either way. The two will run it back again, but this time it will be for a Shamrock FC amateur title, and a pro contract. After spending three rounds deadlocked, the two should have a good idea of what the other brings. This will come down to which camp is able to tweak their gameplan and exploit any weaknesses they might have found from the first time they clashed. "This could be my sleeper fight of the night," Johnson said. "The last time, with the split decision, I can definitely see both fighters are going to want to finish this and finish it quick." After absorbing his first loss as an amateur, Scott would fight two more times, winning handily in both outings. The rematch will be Purnell's first fight since tangling with Scott last September. Both were featured in our Young Guns prospect preview. Keys to victory: Cardio. These two fought tooth and nail in the first time around, and neither really seemed to fade. If Purnell's takedown defense remains as a good as last time, he should be able to fend off Scott, but don't count out the ultra-competitive Scott who will hopefully have some new tricks up his sleeve. After a somewhat lackluster start, the pieces started to fall into place for Kris Craig in 2016. Craig circled the wagons after a decision loss to Erik Newman in the summer of 2016 and looked to improve his stand-up skills taking almost a year off of MMA to focus on kickboxing. The plan seemed to have worked as Craig has shown improvements in every aspect, winning his last two fights including a rematch with Newman. 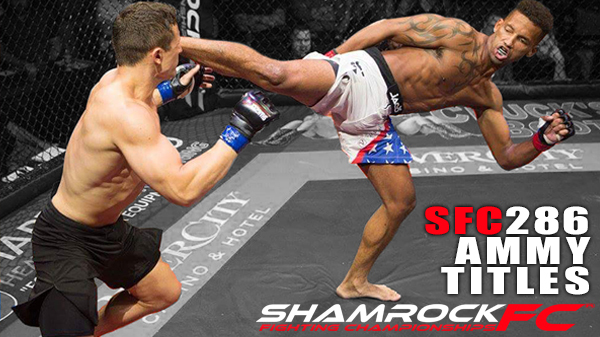 The win over Newman earned Craig the Shamrock FC flyweight amateur title which he will defend against Corbin Howard. Howard burst onto the scene last summer rattling off four straight wins in a six-month period. In January Howard defeated Steven Coleman, despite Coleman having nearly three times as many fights, to improve to 5-0. Faster than a hiccup, Howard blitzes his opponents with kicks that come from all directions. In the Coleman fight, Howard showed he does not wilt when the pressure is on, as Coleman relentlessly pursued him for three full rounds. "I think this could be an absolute dog fight," Johnson said. "Kris Craig's wrestling is second to none, but Corbin Howard has the stand-up and some good jiu-jitsu off his back. This should be a fun fight to watch for the title." Keys to victory: Craig's wrestling could be the x-factor as he likes to pressure his opponents and implement his will in the fight. Catching Howard will be no easy test, and a few well-placed kicks could slow down the wrestler, spoiling Craig's first title defense. Since returning to active competition in the fall of 2015, Mueller has won four out of five, all by way of stoppage. Mueller has yet to go to a decision. "Kevin Mueller an incredibly tough individual," Johnson said. "But coming into this fight, you can never count out Trevon Crawford. He's one of those guys that will step up at any time, has a lot of skill behind him, and a lot of gritty aggression. So this should be an interesting one to see." Originally scheduled to face Jace Burcham, Mueller will now face Trevon Crawford after Crawford defeated Burcham at another local event three weeks ago. Crawford is extremely tough and is as a resilient of a fighter as they come. He hasn't been stopped in his last seven fights dating back to March of 2015, winning five. Keys to Victory: Mueller's submission game is surprisingly good, and Crawford isn't known for a strong ground game. If Crawford can outwit, and outlast Mueller's offense, he could sneak out a decision.